Message of Ramon A. Pedrosa on the occasion of the Centenary of President Elpidio Quirino. It is a great honor for me to have been asked by the family of President Elpidio Quirino and by the Board of Trustees of the foundation to assist in remembering the President. 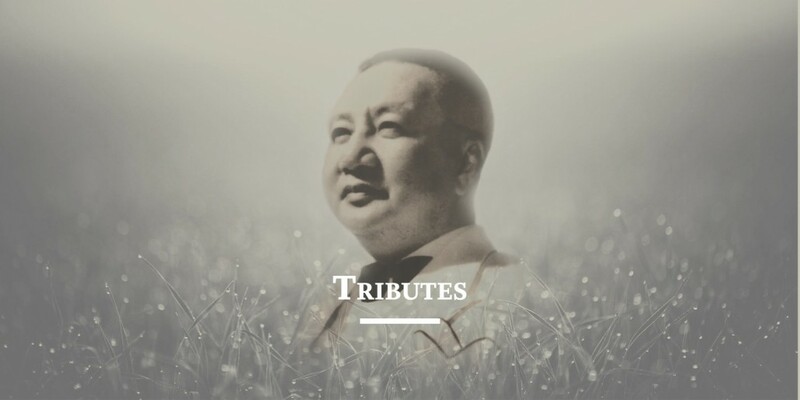 It is an honor that also belongs to my family because one of the most trusted lieutenants of the President was our father, Pio Predrosa, in whose hands were placed many of the pillars that were erected under the Total Economic Mobilization Program, the blueprint for rehabilitation from war, the centerpiece of President Quirino’s administration. There are so few in the Filipino race. Are the heroes only those who for a brief instant of their existence are faced with the sacrifice of otherwise insignificant lives? How about those whose lives from the earliest have been marked by history for preeminent leadership, and whose readiness to serve at the altar of public office has been an unbloody, but no less a sacrificial, offering? Like the many who strive to serve the fatherland, he was scourged and crucified by his own people, a scapegoat of atonement for some national sin. But what appeared as scandal and a humiliation must be reckoned in the final glare of history. Are the heroes only those who for a brief instant of their existence are faced with the sacrifice of otherwise insignificant lives? How about those whose lives from the earliest have been marked by history for preeminent leadership, and whose readiness to serve at the altar of public office has been an unbloody, but no less a sacrificial, offering? This for me is President Quirino – he was the greatest Filipino of his generation. He led the most noble of his time to bring this country out of the smoldering ashes of a war we did not make back to its feet. He will be vindicated, and one day History will tell us that he, indeed, is one of her Sons with which she has been well pleased.